Websites visited on your computer are stored in the Web browser’s memory. If you need to view the sites searched from your computer you can use the built-in features of the browser to view and edit the browsing history. This becomes useful when you work on a public computer and don’t want anyone to see which sites you have been visiting, or want to check what your children have been up to while browsing the Internet. Click on “Settings” under “Browsing History” and then on “View Files.” Sites visited using the browser will be displayed in a Windows Explorer window. Press “Ctrl,” “Shift” and “H” keys at the same time as an alternative and quick method to access the browsing history in the left portion of the screen. Open the Mozilla Firefox browser, click on the “History” menu option and select “Show All History.” Visited websites will be displayed in a Windows Explorer window. Press “Crtl,” “Shift” and “H” for an alternative access to the browser history. Click on the “History” menu option to view the last 10 visited websites at the end of the drop-down menu. Click on the “History” menu option and then on “View All History” to check the browser history. Using a combination of “Ctrl” and “H” keys allows for quicker access to this feature. Click on the “History” menu option and view the most recently visited websites in the middle of the drop-down menu. 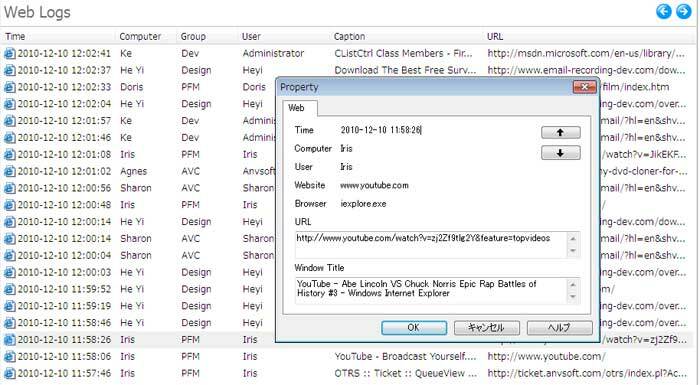 SurveilStar browser history tracking software is an ideal browser history tracking application to track browsing history on other computers. SurveilStar browser history tracking software includes agent, server and console. The server is used to record browser history and the console is used to track browsing history, they can be installed on same computer or on different computers. The agent is used to install on a computer where you want to track browsing history. SurveilStar browser history tracking software will record any visited websites including visit time, computer name, user name, page caption and detailed URLs. SurveilStar browser history tracking software also comes with convenient search features which can help to track browsing history by time, user, URL and title. It doesn’t matter if any one deletes browser history on an agent computer. Once the pages are opened, SurveilStar browser history tracking software will record. Recording will always be earlier than deleting, thus, SurveilStar will help you track any browser history whether browsing history is kept or deleted on the target computer. SurveilStar browser history tracking software not only supports the mainstream browsers stated above, but can also record website visits using any other browsers like Maxthon, K-Meleon, Flock, Avant Browser, Sleipnir, Slim Browser and many other more. 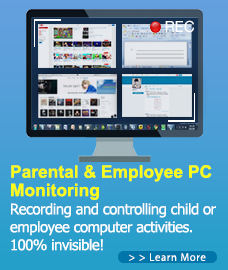 Do not hesitate to try Surveilstar if you want to track browsing history as a company administrator or as a guardian of your child or children. This entry was posted in SurveilStar Employee Monitoring, Surveilstar Features, Website Monitoring and tagged browser history, browsing history tracking software, how to monitor website visit history, how to monitor websites, How to Track Sites Visited History, How to Track Sites Visited History on a Computer, monitor browsing history, track browser history. Bookmark the permalink.